Speeding fines in England and Wales will rise by 50 per cent from 24 April 2017, following a Government review of sentencing rules for magistrates’ courts. The new guidelines will allow magistrates to convict the most serious offenders with a fine starting from 150 per cent of their weekly income, an increase of 50 per cent over the previous guidelines. 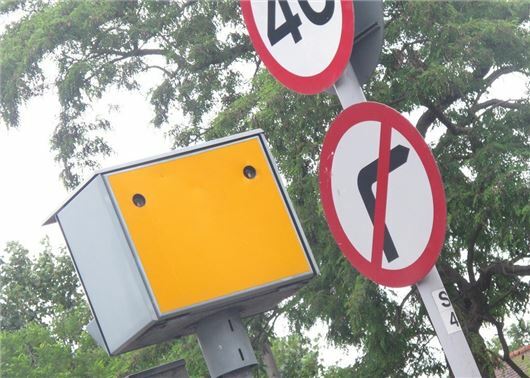 This means drivers who are caught doing 41mph in a 20mph zone will be liable for the new band C fine, along with six points or disqualification for up to 56 days. Drivers caught doing more than 30mph in a 20mph zone will face a band B fine, starting with 100 per cent of their weekly income and up to six points on their licence, or disqualification for up to 28 days. “Hopefully, hitting these offenders harder in the pocket will make them think twice before doing it again in the future," said RAC road safety spokesman Pete Williams. "We welcome the change in sentencing guidelines for gross speeders. Anyone who breaks the limit excessively is a danger to every other road user and is unnecessarily putting lives at risk," added Williams. Just looking at the banding above , the 20mph is interesting, we live on one, to my knowledge it has never been subject to speed checks and is treated with total contempt with that knowledge in mind, some indeed see it as a challenge and 70mph seems the target for certain motorcyclists. No point in any speed limits especially the ones that are necessary if they are not enforced. My grievance with penalties for speeding has always been that speeding is an absolute offence, which is contrary to the history and spirit of British law. In other words if one drives over the limit one is guilty and will be fined, end of story. There is no provision for extenuating circumstances to be explained, or for consideration of what the road situation was at the time. This leads to situations where a flagrant offender who offends deliberately without a care about the safety of other road users being treated the same as a normally law abiding citizen who errs on an unfamiliar road. Furthermore speed cameras make no distinction between a car speeding on a congested motorway during the rush hour and one doing the same speed on a totally empty motorway at 3.0 am. I and my wife and daughter are all law abiding and very careful drivers, but we have all been fined and had our licences endorsed when driving only slightly above the limit, at times when not a single other vehicle or pedestrian was in sight. In any case, I do not believe speed is the main factor in road collisions. Inattention, lack of concentration and playing with toys in the car are far more dangerous, which is why I am appalled at the infotainment touch screens now being fitted to most cars. These things are lethal and the willingness of the government to allow them to proliferate is beyond me. Grumpt1 is correct, of all KSI accidents (killed or seriously injured), ~4% are attributable to exceeding the speed limit, ~43% are attributable to not paying attention. I would add a comment here about those clutching mugs of coffee or some other drink as encouraged by car manufacturers by fitting cupholders! Why are these ignored, whilst phones are not? What is the difference? There is even a motorcycle now with a cup holder.They should not be fitted in vehicles AT ALL. So, I drive at 101 mph on a deserted motorway and get fined £2500 or so. Meanwhile, a driver texting on a busy single carriage road is subject to a whopping (just increased) fine of £200. Am I missing something here ? So Grumpy3: Can we all assume that the ACPO Guidelines of 10% over the speed limit plus 2 MPH has been dropped across England? I always thought these figures to be quite generous myself. More information needed i'm sure. How often do we see drivers trying to control their cars at the same time as conducting a conversation on a mobile 'phone, and the police; if you can ever find any; do nothing about it? And why, when a stolen vehicle is seen being driving into a "Travellers" camp. do the Police tell the owner to claim on his Insurance rather than make any attempt to recover the vehicle?